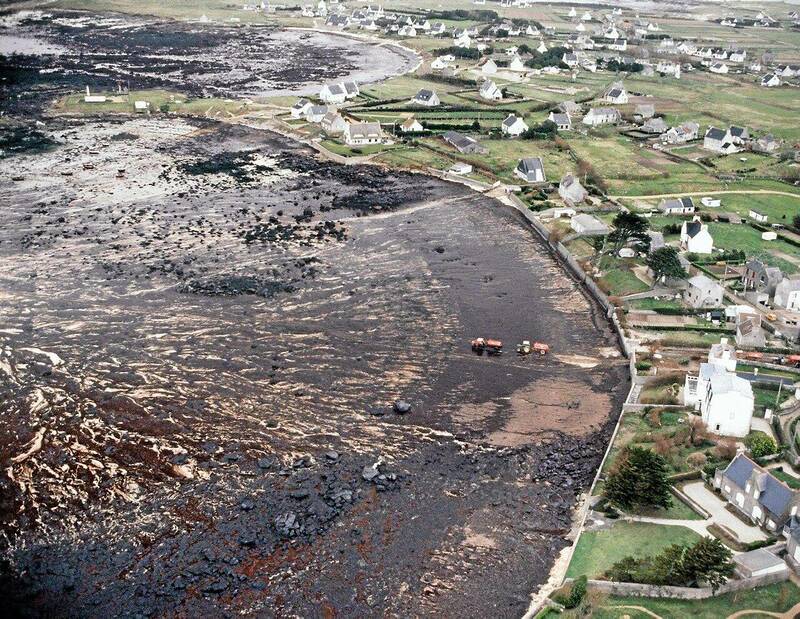 40 years ago, the oil tanker Amoco Cadiz ran aground on Portsall Rocks, 5 km (3.1 mi) from the coast of Brittany, France, on 16 March 1978, and ultimately split in three and sank, all together resulting in the largest oil spill of its kind in history to that date. FOUR decades after a devastating oil spill off the Brittany coast threatened to pollute Jersey’s beaches, a special fund established in its wake is looking for more projects to support. 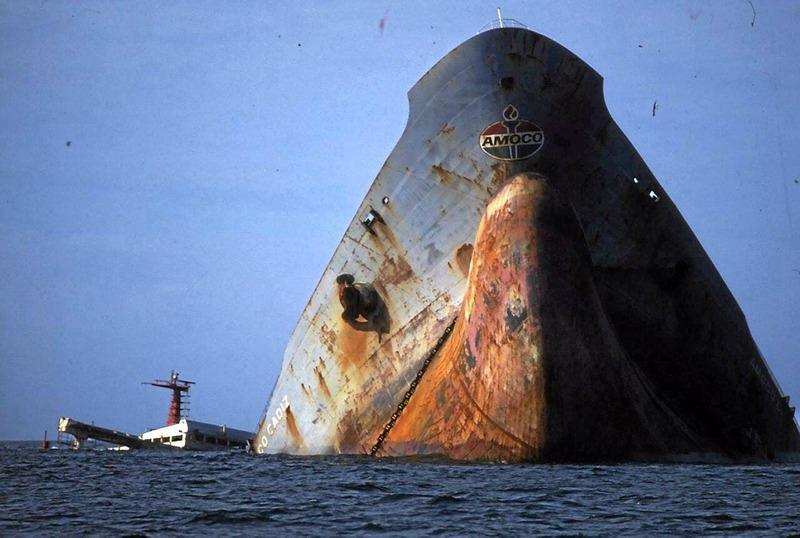 The Jersey Ecology Trust was set up in 1991 with £344,592, Jersey’s share of $155 million damages imposed by an American court on the Amoco Corporation, owners of the Amoco Cadiz oil tanker. 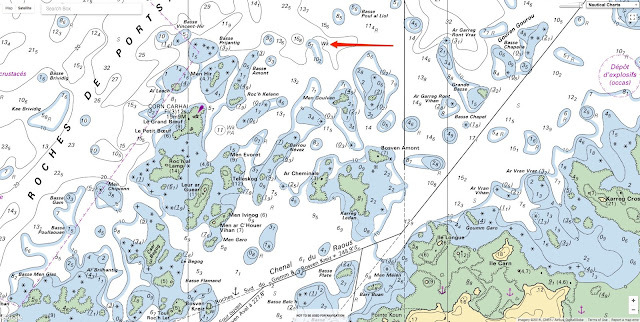 The vessel ran aground off the coast of Brittany on 16 March 1978 in extreme storm conditions. Over the following two weeks, the 223,000 tonnes of oil and 4,000 tonnes of ship’s fuel spewed into the sea in what was the largest oil spill of its kind in history at that time, posing a serious threat to the Channel Islands. Thankfully, favourable tidal and wind conditions and rough seas – and the efforts of the Royal Navy, UK and local fishermen to disperse the 40-mile long slick – kept it at bay. 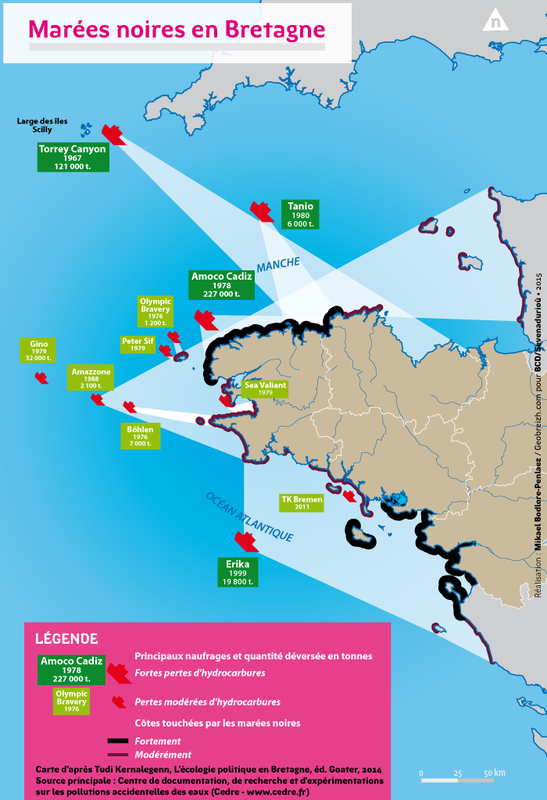 Deputy Scott Wickenden, chairman of the Ecology Fund, said: ‘The Amoco Cadiz spill had a devastating impact on wildlife and marine habitats across the Channel. However, through the insight and hard work of Islanders who helped establish the Ecology Fund, some good has come out of it. More than £150,000 has been paid out since 1991 to almost 150 local projects. These have included a nature garden at Mont à l’Abbé School, Birds on the Edge project to revive declining farmland bird numbers, a study of the local red squirrel population and woodland management training for Jersey Trees for Life. 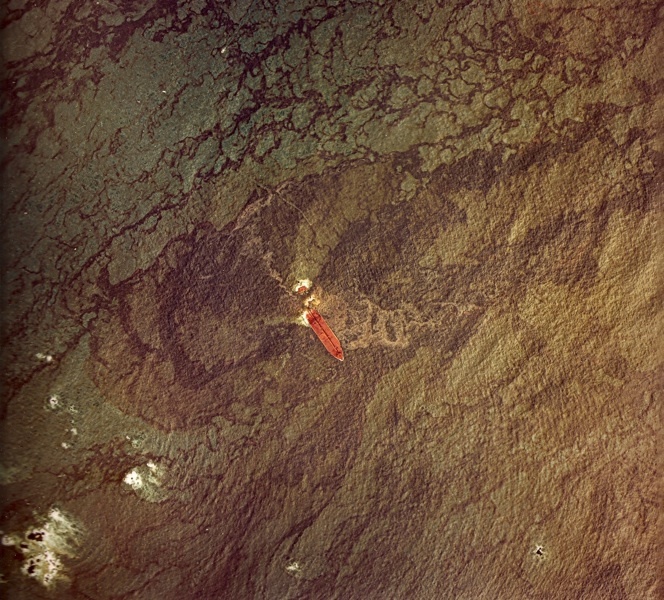 The threat to the islands from the Amoco Cadiz disaster was over by the end of March 1978. The islands escaped relatively unscathed but dead birds and tar continued to be washed up on Jersey’s and Guernsey’s beaches for many months. However, it took many years for the Brittany coast to recover. By the end of April 1978, the slick had contaminated almost 200 miles of coastline, clogging holiday beaches with a thick black layer of crude oil, contaminating shellfish stocks and killing at least 20,000 sea birds and millions of molluscs, sea urchins and clams. The clean-up operation involved 6,000 French soldiers and thousands of volunteers. Some beaches had to be cleaned six times and traces of the pollution can be seen to this day.